Creatures that are half fish and half woman are considered as the mermaids. Although sometimes they are called as ugly and monstrous, usually they are very beautiful. The upper part of the mermaids appears as a lovely young woman while the lower part hails down like a spreading tail. One of the most interesting facts that is not known about mermaids is that they love to comb their long hair and this is the reason even in the films they are always seen with a comb and mirror. You might have seen the beautiful mermaid story in cartoon like ‘The Little Mermaid’, but here is the list of some scariest mermaids ever seen in the Hollywood movies. Merpeople were first known as ‘Sirens’, but as the time pass by the modern era called them out as Merpeople. 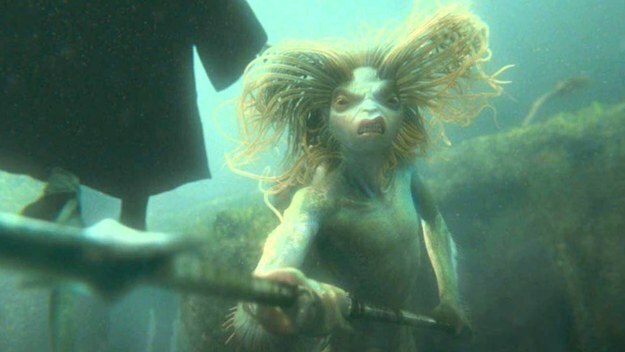 The creatures resemble with half human, half fish hybrids and come in a variety of appearances. Merpeople are beast that exists underwater and are found all over the world. 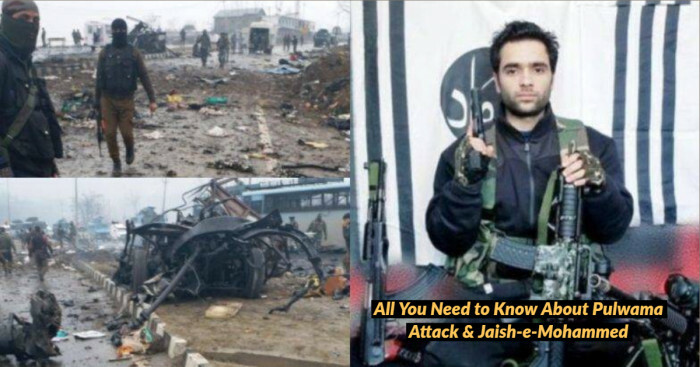 Evidence has that they live in extremely organized communities, some made of stone and some have been known to have jewelry and weapon making intelligence. Here and there at the dark windows, Harry saw faces...faces that bore no resemblance at all to the painting of the mermaid in the prefects’ bathroom... The merpeople had greyish skin and long, wild, dark green hair. Their eyes were yellow, as were their broken teeth, and they wore thick ropes of pebbles around their necks." Mermaids appeared first in Disney classic in 1953 animated film Peter Pan. The film is based on J.M.Barrie’s 1911 novel. The beautiful creatures enjoy the company of Peter Pan but sadly seem bitter for anybody else, even with the fairies. Usually the mermaids are appeared to be shallow and mischievous in nature. They even didn’t care about their disrespectful behavior towards outsiders. In Barrie’s novel mermaids were little bit dangerous and dark creatures. They live in the Lagoon and didn’t care about the world. Mermaid in a Manhole directed by the manga artist himself is a story about an artist who tries to cope up with his death wife. He finds mermaid in sewer; he took mermaid to his home and starts painting her portrait. But soon she starts crying and painter notice that she has boils rising all over body and even she is having infections due to longer stay in sewer. After a time mermaid stars bleeding, artist uses the blood from her wounds to paint the portrait but her condition worsens and mermaid dies. Some stories detailed the mermaids as the creatures associated with storms, drowning and shipwrecks. In some they can be falling in love with humans. However, some tales said those mermaids were known to gather at whitecap bay for years striking a threat in pirates and sailors. The mermaids at whitecap Bay was known to be very beautiful but they were considered as of different nationalities. They were unbelievably seductive and they lured seamen to their deaths. They were considered as the scariest mermaids ever seen in the movies. Their main weapon was their exotic appearance. Directed by Stuart Gordon horror movie Dagon is an ancient fish - man who had temples at Ashod and Gaza. The mermaid had a form resembling that of fish, with human like feet growing alongside and human head growing below and the fishtail growing out of it. Nymph is a 2014 Serbian fantasy horror film that stars Franco Nero, Kristina Klebe and Natalie Burn. Two young American friends who were fooling around the ocean uncover the water lair of a mermaid hidden beneath military fortress. It was once a carefree adventure that turned out to be the deadly survival. 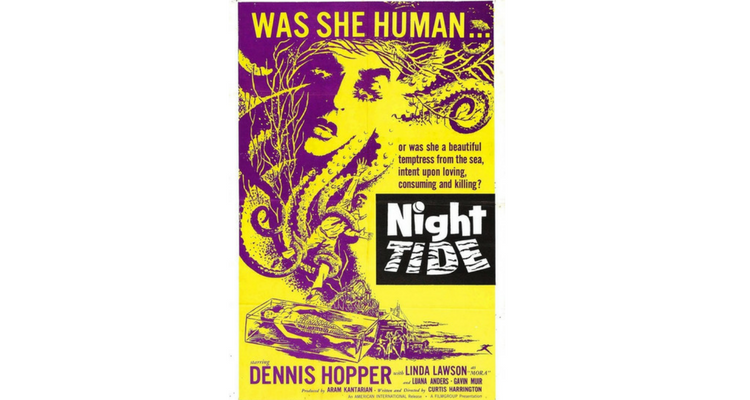 Night Tide is the scariest horror Hollywood film ever seen. Dennis Hopper (Drake) meets Linda Lawson (Mora) in a club. Both fell in love with each other. But she believes she is a successor of Sirens, a scary mermaid who lure sailors to death. A sinister woman (Marjorie Cameron) appears and frightens Mora. Johny couldn’t believe that her lover is capable of murder. On the day of full moon, Mora cuts Johny’s breathing tube and he is forced to leave her below, where Mora swims away into the shadows to die herself is that she could save Johny from future harm. What happen next will leave you puzzled.